Whatever the figure, there’s no doubt that the NGS market is expanding, driven by advancements in platform technology, increasing applications of sequencing, growth in partnerships and collaborations, increasing adoption of NGS among research laboratories and academic institutes, and the decline in the cost of sequencing. That cost fell four orders of magnitude from $10 million at the end of 2007, to under $5,000 at the end of 2013. A year later, Illumina’s then-CEO Jay Flatley jolted attendees of that year’s J.P. Morgan Healthcare Conference by announcing the long-awaited $1,000 genome, in the form of the company's HiSeq X10 system. The pace of sequencing progress has quickened since then, with Illumina last year unveiling the NovaSeq, trumpeting the newer sequencer as potentially enabling a $100 genome. Below is a list of 10 top sequencing companies, ranked by revenue—either companywide for companies entirely focused on the segment, or for companies with broader operations, figures for sequencing-related business segments. Each company is listed by name, 2017 revenues, and a short description of recent company activity, where the revenues were derived, or both. Beyond the top 10 are numerous companies positioning themselves for future growth in sequencing. One example is Eurofins Group, which in June 2017 acquired GATC, a sequencing provider that generated about €20 million ($24.5 million) in annual revenue at the time of its purchase. Another example is bioMérieux, which partnered with Illumina to develop bioMérieux EpiSeq™, an NGS service for epidemiological monitoring of bacterial infections launched in 2015 as the first commercial system for using whole-genome sequencing (WGS) to monitor outbreaks in hospitals. Roche in 2013 shut down the 454 Life Sciences business it acquired from CuraGen six years earlier but retains a Roche Sequencing Solutions (RSS) business focused on simplifying workflows and expanding assay menus. Last year, Roche launched AVENIO circulating tumor DNA (ctDNA) Analysis Kits, a portfolio of three NGS liquid biopsy assay kits for oncology research. RSS is within the molecular diagnostics business area of Roche’s diagnostics division, which last year generated CHF 1.920 billion ($1.999 billion) in revenue. BD (Becton, Dickinson, and Co.) provides NGS workflow solutions through its bioscience unit within the life sciences segment, for which BD has reported 2017 revenue of $1.139 billion. Last year BD launched BD Rhapsody, a single-cell platform for RNA-expression analysis whose benefits, the company said, included sequencing cost savings. PerkinElmer provides NGS workflow solutions through its applied genomics unit within its diagnostics segment, which finished 2017 with $678.5 million in revenue. PerkinElmer signaled increased interest in the NGS market in February when it acquired Australian-based RHS for A$25.2 million ($19.4 million), adding technologies that include DOPlify, a platform designed to provide cell-ploidy status of single cells and simultaneously cell mitochondrial DNA load using a range of different NGS platforms and workflows. Oxford Nanopore Technologies, developer of the pocket-sized MinION real-time DNA/RNA sequencer and other nanopore analysis devices, last month completed its latest financing of £100 million ($140.9 million) in new financing. The company said the funds will support its next phase of commercial expansion, including a 34,000-square-foot manufacturing facility in Harwell, Oxfordshire, U.K. While the company finished 2016 with a pre-tax loss of £65 million ($91.6 million) on revenue of £4.5 million ($6.3 million), according to The Times of London, the Financial Times reported the company as disclosing that its order book tripled last year, to approximately $23.5 million, and is expected to approximately triple again this year, to about $75 million. The figure is more than double 10x Genomics’ revenues for 2016, the company stated in a presentation at the J.P. Morgan 36th Healthcare Conference in January, and in job ads shared this year on numerous tech job websites. At J.P. Morgan, the company announced a new version of its Chromium de novo assembly solution, which includes a new version of the assembly software, Supernova 2.0. The company’s offerings also include Linked-Reads, a sequencing technology designed to provide long-range information from short-read sequencing data. 10x Genomics—which completed a $55 million Series C financing in 2016—organizes genetic information based on what is known as “read clouds” to map the larger picture of the genome. Genewiz specializes in R&D genomics services and has grown since its founding in 1999 to rank No. 3,221 on Inc. magazine’s 2017 Inc. 5000 list of fastest-growing privately held companies (where the 2016 revenue figure was disclosed), based on its percentage growth of annual revenue over a three-year period of 100.33%. Last year, the company expanded into clinical genomics testing with the launch of its CLIA Sanger Sequencing service, and launched Amplicon-EZ, designed to provide a cost-effective, fast, and interactive solution for researchers to sequence mixed PCR products. PacBio enjoyed a 19% jump in product and service revenue from the $78.6 million reported in 2016. One key reason was growth in China, which last year represented >30% of total revenue, up from <10% in 2016. Already this year, PacBio announced two significant purchases of its Sequel® system sequencers by Chinese customers, Annoroad Gene Technology in March and BGI Genomics in January. The latter reflects PacBio’s growing presence in plant and animal sequencing, with Chairman, CEO and President Michael Hunkapiller, Ph.D., telling analysts the company was featured in 66 program presentations and 50 poster presentations at the Plant and Animal Genome XXVI Conference, held January 13–17 in San Diego. Macrogen celebrated its 20th anniversary last year as a provider of sequencing services. It is South Korea’s largest sequencing company, with a 12% revenue increase from KRW 91.1 billion ($85.3 million) in 2016. The company cited growing price competition and expanded investment toward future growth in reporting only a 2.5% year-over-year increase in profit, to KRW 3.1 billion ($2.9 million). “This year, we will speed up the development of future medical innovations and increase our business strategic agility in the gene-therapy field, based on our high-quality gene analysis service,” CEO Moon Ji-young said in a statement. The company maintains a U.S. branch in Rockville, MD, which generated 2017 sales of KRW 3 billion ($2.8 million). Also last year, Macrogen opened a second branch in Europe, located in Madrid. Qiagen disclosed a sales figure for its NGS business when it released fourth-quarter and full-year 2017 results on January 31—as well as its goal this year of exceeding $140 million in NGS sales, up 22%. “We are adding a range of new products and service enhancements to our NGS portfolio for universal solutions as well as for the GeneReader NGS system,” Qiagen CEO Peer M. Schatz told analysts on the company’s quarterly conference call. 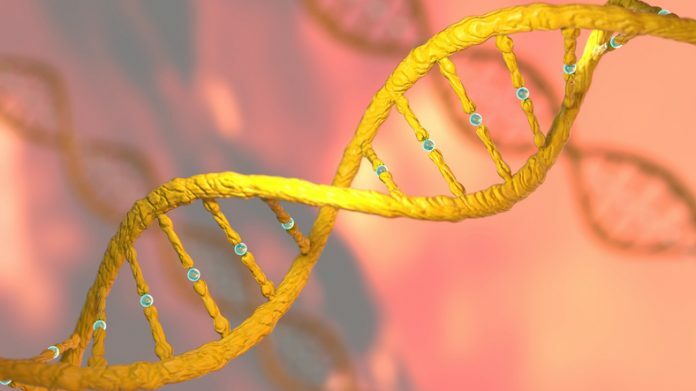 Last month, Qiagen and Natera said they will develop cell-free DNA assays focused on prenatal screening for GeneReader, through a 10-year collaboration that could generate up-to-$50 million-plus for Natera. The figure reflects sequencing accounting for “less than 30%” of the $772 million in 2017 revenue reported by Agilent’s diagnostics and genomics group (DGG), according to the company. DGG activity includes NGS target enrichment. On April 3, Agilent announced it signed a definitive agreement with Lasergen, developer of DNA sequencing technologies, to acquire its remaining shares for $105 million. The deal completes a purchase that began in 2016, when Agilent invested $80 million in Lasergen and took a 48% stake in the developer of NGS technology. Last year, Agilent acquired the molecular and sample barcoding patent portfolios of Population Genetics Technologies for an undisclosed sum, which the buyer said would enable it to improve the accuracy and sensitivity of NGS detection. BGI Genomics promised to launch new services among other purposes for the for the RMB 547 million (about $86.8 million) in proceeds the company raised when it completed its initial public offering (IPO) in July 2017. China’s largest sequencing concern delivered on that promise during the J.P. Morgan 36th Annual Healthcare Conference in January, launching a SMRT-based sequencing service focused on conservation biology, the Life Periodic Plan. The plan aims to data-mine species through sequencing to deliver digital data on all animals and plants on earth—”and eventually elucidating the laws of life hidden within the data,” according to a company statement. Thermo Fisher Scientific CEO Marc Casper offered an approximate size for its NGS business on January 31, when he told analysts on the company’s quarterly earnings call that NGS “represents just under 2% of our revenue,” according to a transcript published by Seeking Alpha. Casper added: “It’s a business that is growing reasonably well.” In addition to product launches last year, the company in 2018 said it will begin offering its Ion AmpliSeq technology for researchers using Illumina’s NGS platforms, under the name AmpliSeq for Illumina. Thermo Fisher includes NGS within its life sciences solutions segment, which accounted for $5.73 billion of the company’s total revenue of $20.918 billion. After years of dominating high-end NGS technologies, Illumina in January announced the launch of a markedly smaller system, the one-cubic-foot iSeq 100 sequencer. At $19,900, the iSeq 100 is a bargain compared to the company’s $50,000 MiniSeq or its NovaSeq, which sells for close to $1 million—with Illumina trumpeting its newest sequencer as one that “puts NGS within reach of virtually any lab.” The company finished 2017 with a 15% rise in revenue, in part reflecting increased clinical activity. Last year, Illumina launched its second FDA-regulated and CE-IVD marked NGS system, NextSeq™ 550Dx, designed to extend NGS to clinical labs; and partnered with China’s KingMed Diagnostics to apply its NGS technology toward novel oncology and hereditary disease testing applications.